hq shadow or skyburner widow maker ? GWTW Forum > Kites! Kites! Kites! > Sport Kites > hq shadow or skyburner widow maker ? i live in land country side and area is hilly and winds are un ruly but i fly on the flats around the area. infact the lack of winds at times really sh1ts me! i want a kite that i can pull out at any time to fly wind or no wind! been lurking around here lately and have come up with 2 kite choices. the hq shadow or the skyburner window maker ! thinking of going a standard frame over a ultra lite. so out of the 2 kites mentioned above which would be the better all round kite and be able to keep it in the air the longest with little ease ? which is the faster of the 2 kites and may be more precise please ? is there much difference in build quality between the 2 ? im not really into tricks but more free style flying of cruising around the wind window! r.e color scheme,i like the idea with the skyburner widow you can customise your colors of the sail and was thinking of ordering a all black color with 2 orange panels on each side,how would that look in the sky ? thanks in advance fellas,much appreciated and look forward to your replies. Re: hq shadow or skyburner widow maker ? neither of those kites will fly in no wind and be any fun. the shadow is only sold as a UL. WM is the better all around kite, but the shadow requires less wind. where you put "and" should really be "or". one negates the other. the widow maker is faster and more precise (when there's wind). the shadow and UL WM are both more fragile than a standard WM. the shadow is well built, especially for the price, but being more expensive, the WM has some slightly better materials used and sail construction is impeccable. the (standard) WM is a great all around kite, while the shadow excels in low wind. both a custom widow maker ultralight and an hq shadow have a home in my kite bag, but when there's less than 3mph wind, its single line glider kites which come out and the dualies stay in the bag. Yeah, that much pretty much says it. For low wind you'll need a UL. It's more fragile than a standard but not as fragile as a SUL but it WILL fly lower. Of your two choices the Widow Maker UL is probably the best bet when the wind is light but you have to still be able to feel it at the back of your neck. If you can't feel it, you probably can't fly. I seem to remember reading that the Shadow is a decent kite but it flies more like a light standard than a UL. The Widow Maker UL might be a bit of overkill if you don't intend to trick. But if you think you might want to go in that direction it's a super kite. I flew a Prism Flashlight for years before I finally figured out how to axel. After that I decided I needed more. The good thing about the Flashlight is that leading edges were easy to get and cheap after I broke them learning to cartwheel. so what length lines will i need to use,60 ft may be ? r.e color schemes,how do you think the mostly black would look with some orange ? First off, like the others have said these two kites are absolutely nothing alike. The Shadow is a UL and if you order a WMUL you're going to get 2 completely different animals. The WM is more designed towards accessibility and flight characteristics with a few tricks built in. You won't be rolling this thing up in one pop if you start to trick. The shadow is more tricky, but it will be heavier than the WMUL. If you want a kite to fly lower then get the WMUL but its more pricy and all that jazz, but I'm sure you've looked into that. However it is a fantastic kite that will stay with you for years. Out of the two, the WM will fly lower and is more precise. The bigger the kite, the more sail area to catch wind. Its also framed lighter too and has wrapped carbon tubes. However if you're looking for a kite to fly in 'no wind' you're absolutely not going to be going with a standard kite. UL is the way to go, but if you're serious when you said NO wind then an SUL is the way to go. If that is the case I would steer you in the path of an Ocius SUL or an Aura 4oz. 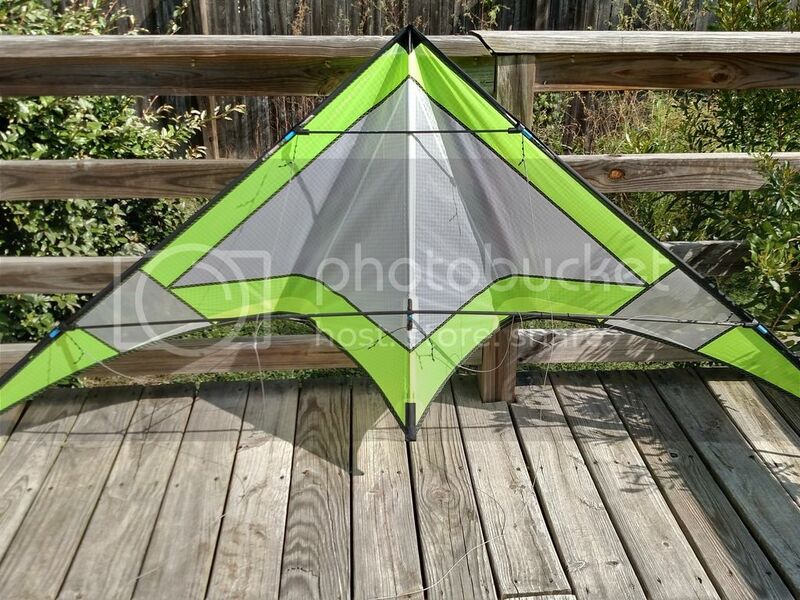 If you like smaller kites and less expensive prices, a 4d would also be something to look into. If you don't like to trick, then a PDSUL is fantastic. Happy flying and good luck in your decisions. Smooth winds. You don't say where you live or what region. It can make a difference. You have to take into account the colder months where wind patterns change, unless you plan on buying more kites. It's like golf. There are many different clubs to choose from depending on the conditions, so you want to find something that will be the most versatile to start while being capable and sturdy. Most kites come with 75'-80' to start. The WM doesn't come with lines and straps. You'll have to buy them or make your own. As far as looks, that's entirely up to you. Go to the Skyburner page and play with the colorizer for the WM. The only person that matters is you, unless you plan on selling it later. WM's tend to stay with their owners because they're so good. Another thing to keep in mind is repairs. Since you appear to be starting out your learning curve will be steep. It will taper off, but you are invariably going to need some replacement parts and accessibility is a concern. Skyburner is a small US company with impeccable service. HQ is international, but they do have a US office for service. UL's tend to be a little more brittle, but that's because they shed weight at the cost of strength. Most fliers can tell you their own crash stories. I've flown both of these and, while I would probably prefer the Shadow, I don't think most people would. The Shadow takes a bit of getting used to - it's smaller input and downright quirky when compared to something like the WM UL. I'd say its more of an intermediate to advanced level flyer kite for someone looking for something a bit different. Most flyers could pick up the lines on the WM and just fly with no what-just-happened moments. Also, the WM standard flys pretty low already and would likely be much stronger than the UL. Also, WM has standard sticks (UL and STD) which are easily replaced and just seems a better overall investment to me. The Shadow will be more difficult to repair and is just more fragile all-around. im located in Australia,sth east subs of melbourne ,Endeavour hills victoria state. im thinking of now buying a all black with some orange widow maker standard model and give that a try and then if not much good buy the ul widow maker! might buy some 60 and 80 feet lines as well! There are some awesome freestylists that fly at Moran Park (St Kilda?) that would accelerate the learning. And great advice too. Edit: Sorry, it's Moran Reserve and it is in St Kilda. yes i know about about moran park thanks,but i have not been there before but should make the trip some time!! One of the guys, Adrian Bickerstaffe, is a dead set gun! If you ever get across to Perth, give me a shout. yeah no worries rob,thanks mate! Best low wind kite I have seen is the Pro Dancer. thanks for the tip on the pro dancer! will look into it as well as get the widow maker. just had a look @ the pro dancer,it has a weird shape sail which looks cool! so it can fly up to 10 mph winds it says ? does it trick,track quite well ? would you say it is well made and strong ? The Prodancer is not really a trick kite. Some people can get it to trick, but for the life of me, I can only get an axel out of mine. The PD will fly in no wind conditions, but once you can start to feel the wind on the back of your neck, it's time to switch to a heavier kite. It is also framed in very light weight spars, and can't take much abuse.